Experience New Energies, Dimensions, and Shapes! Crop circles offer a rare opportunity for ordinary people to experience extraordinary energies, shapes, and experiences. To be honest, we don't know exactly why crop circles have these effects. Sure some of them, many of them nowadays are manmade, and maybe a few are of unexplaind origin. But about all the cases of battery, camera, and equipment failure? What is causing that? Based on my research and experience, it seems as if crop circles are a phenomena beyond the realm of current scientific understanding. No one knows exactly why these agroglyphs are associated with such weird phenomena like balls of light, strange sounds, and UFO sightings. It's like the crop circle is a special space with it's own laws of physics. I've seen more cameras stop working in crop circles that I care to remember. And many other devices too. None of them, cameras, GPS devices, and the like, to my knowledge ever behaved that way anywhere else, my devices included. Visitors to crop circles can often experience these things for themselves. You just walk inside one of these formations, and strange things start happening. A few years I was with an electrical engineer from the University of Oregon, Eugene. He had on a an electronic compass built into his wrist watch. 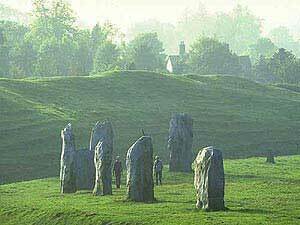 As we walked into a rather large formation on the Ridgeway, in Wiltshire, U.K. something odd happened. 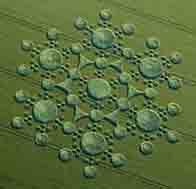 It is this type of experience which shows the crop circle visitor thay they have entered an agricultural "twilight zone." Something is amiss, but you don't know exactly what it is. And that experience opens you to new possibilities and new ideas. I've never seen things as I strange as those in crop circles, year after year. I still don't know what the causes of this weirdness are, but that isn't the most important thing. The crop circle shows you that don't know everything about the world that you thought you did, and that is reason enough to visit them.